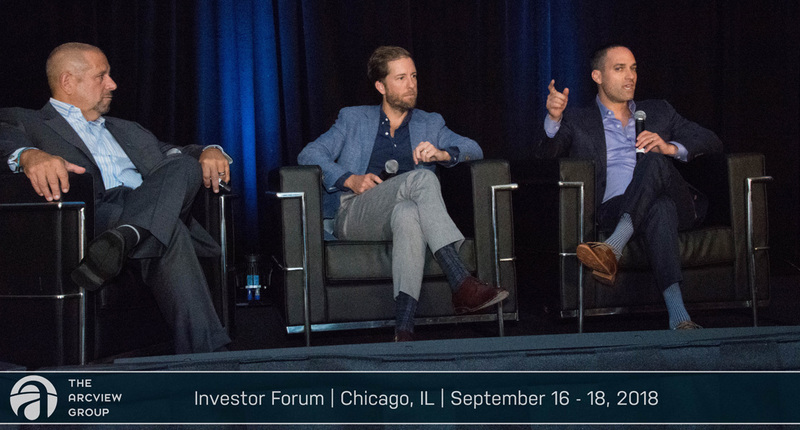 As cannabis emerges as the fastest growing industry in the world, MedMen CEO Adam Bierman called upon the industry to find common ground and create a “mentality of unity.” Bierman delivered the keynote to an audience of 200 industry leaders and investors at the Arcview conference in Chicago recently. State-sanctioned cannabis sales in the U.S. is poised to surpass $75 billion by 2030 by some estimates. It will soon rival more established industries like alcohol, which records about $200 billion in annual sales, and is already larger than coffee with $35 billion in sales. “We are well on our way to being ranked among some of the top consumer goods markets in the world,” Bierman said. The cannabis industry is at a critical juncture in its evolution. This year California welcomed adult-use sales unlocking a market worth about $7 billion in sales. Nevada is proving to be one of the fastest growing markets in the country. Canada will soon be the first developed nation to fully legalize marijuana use for adults, and other states in the U.S., including New York and New Jersey, seem poised to join the nine others that currently regulate adult-use marijuana. Bierman pointed to the recent $4 billion investment into Canopy Growth by beverages giant Constellation Brands, and how it broadly lifted share prices of publicly traded companies, including MedMen. The Arcview Group connects accredited investors and cannabis ventures. The group has helped raise about $150 million for more than 160 companies since its inception, and counts more 600 investors in its membership. Bierman spoke at the group’s gathering in Chicago on Sept. 17.